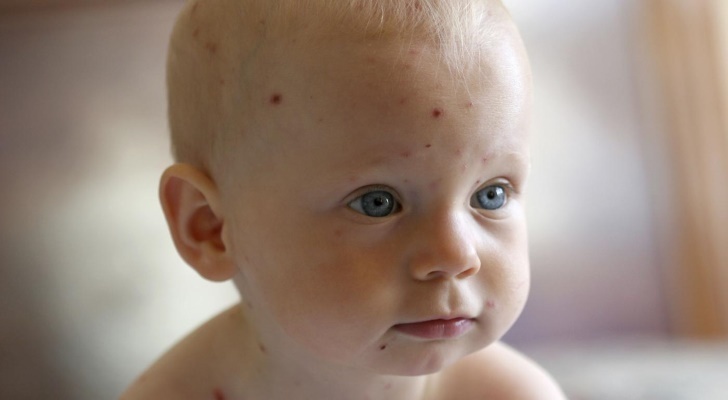 The most obvious symptom is the rash which follows any early symptoms of the chicken pox. These spots/bumps are usually red and itchy. They are formed very quickly: in one or two days. The top damaged places are the baby’s or child’s chest and back. It then moves to the face, head in general, limbs, and groin. It’s important to keep your child away from the infectious kids for at least 2-3 days before the rash when the disease achieves its peak. The patient may be covered with a couple of spots up to 500 or even more. The final typical syndrome to discuss is blistered. Children complain of getting cold or flu-like for several days. On the day 2 or 3, be ready that your baby or child may wake up covered with the rash. The most contagious period is, however, a couple of days before the rash and blisters can be noticed. The damaged areas will switch their color from red to yellow. Fluid-filled blisters make children suffering as they are rather painful.